You may be sensing somewhat of an 80’s vibe in today’s post, and you’d be right! What attracted me to this printed jumper were the large, puffy sleeves. It’s all about the volume, people! If you haven’t heard of Cameo The Label before, it’s an Australian-based brand that creates fresh, modern pieces using bold prints & colors, and heavy, bonded fabrics. A few favorites from their current collection include this heavy crepe cobalt number, this swingy crop top, this ruffle-hemmed drop waist dress, and this powder pink coat (also comes in grape)! The best part about Cameo is the pricing – most of the pieces are under $200, which totally works for me. Another new item in my closet you may have noticed already is this Givenchy Antigona clutch. I thought about buying it in basic black, but the silver clutch just seemed so much more fun! The clutch is also available in gold, bordeaux, gray, and aubergine. What do you think – do you have a favorite shade? Regardless, at least I’ve crossed “upping my clutch game” off my must-do list! Shop more of my most wanted items here. PS – only one week until Krystal and I fly over to London for 9 days! It’s been a long time since I was last in the UK, so if you have any recommendations or spots we must hit before we leave, comment below! hey! have a great week, beautiful outfit! reminds me a bit of the 90’s! That skirt is pretty awesome, you look gorge! 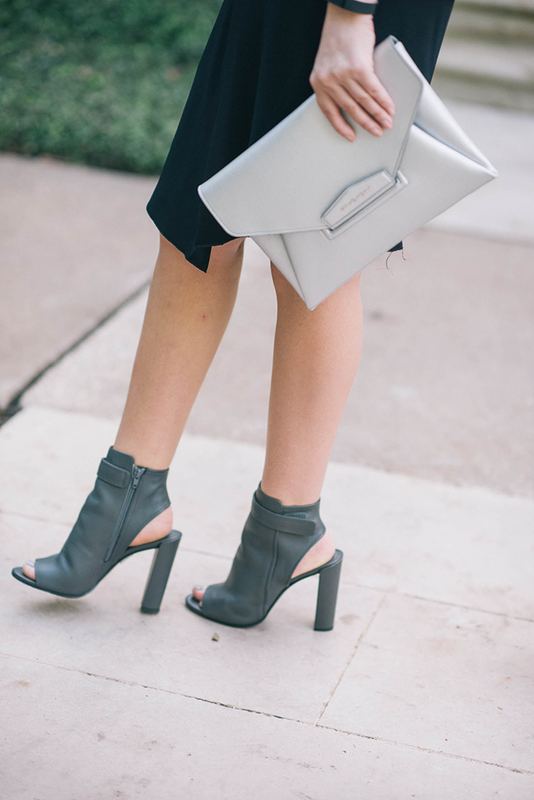 You are really making me want those gorgeous booties! I love the sweatshirt – very 80s in the most stylish way! Love the modern silhouette here – all of these pieces are great separately but absolute perfection together! What a fun ’80s inspired ensemble! Loving the volume in the sleeves and I can’t take my eyes off that clutch. I usually gravitated to black or navy, but picking a wildcard is so much fun sometimes. This look is SO me!! The skirt and the sweatshirt are Fall ideal. Andddd, I’m loving them paired together!! One of my favorite looks Merritt!!! This outfit stands out! Especially love the skirt! Love, love, love the cut on that skirt! I LOVE that sweater and those booties! Such a great look! Ahh! I love that sweatshirt! Too cute!! I love the pattern on the sweater, and the way the skirt flows! The bag is always so simple, but so chic. Stop! This is just such a great look on you! Love that sweater and those booties are beyond perfect. That clutch!! I just love the minimalist, modern feel. So sleek and polished! The perfect accessory for any season! What a great sweater and that print! Such a unique skirt, loving it! Nice homage to the 80’s. Those sleeves hit the era for sure. By the way, I’m obsessing over your Vince shooties. Loop wee this look. That skirt is so cool!! Such a cool hemline on that skirt and fun top! Absolutely love the 80s vibe! Great decision to get the clutch in silver- it really does add a fun element! Love all the details in this outfit! The hem is so fun. You know I love those booties!! I am loving that skirt! Such dimension! Beautiful!! 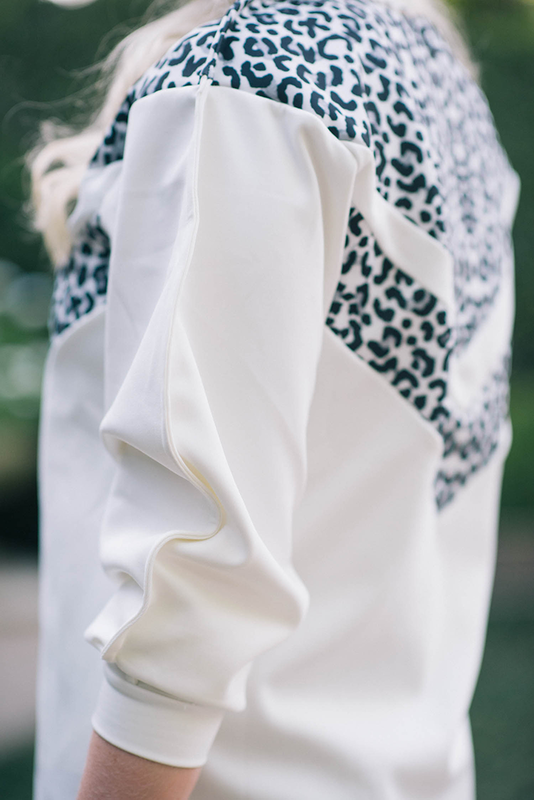 Cameo the Label is one of my favorite Aussie brands right now! Their collection is so pretty!